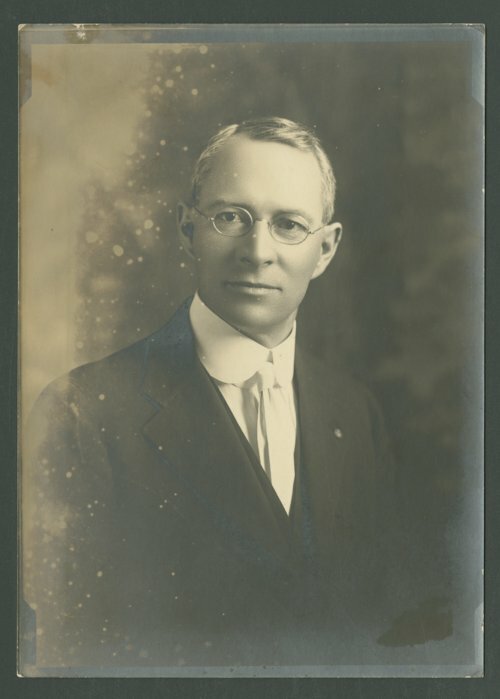 This is a photograph of Charles A. Richard. He married Lula Jerusha Ford on September 14, 1902, and they had four sons: Glen U. (born May 9, 1905), Quentin L. (born June 25, 1907), Wilbur O. (born December 19, 1910), and Charles A, Jr. (born May 14, 1916). Charles A. Richard was a minister and lecturer in Seneca, Nemaha County, Kansas. Later, he was a minister at the First Christian Church in Lawrence, Kansas. Also, he was a Republican and served in the Kansas State Senate in 1937, SS1938, and 1939 representing District 17.